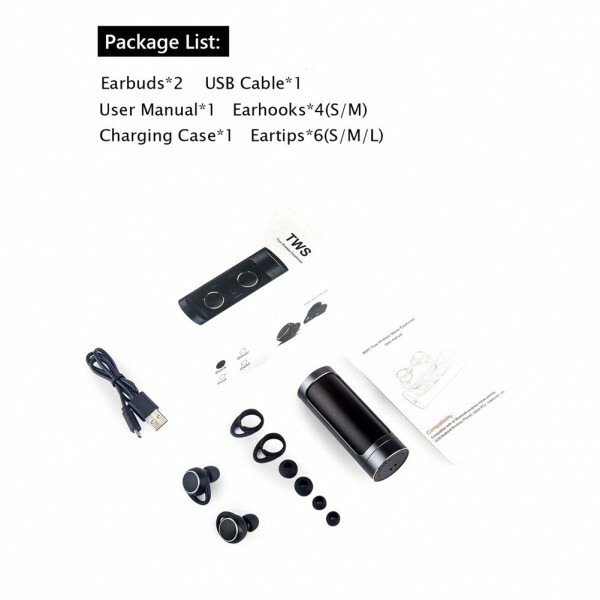 ♪【Bluetooth 5.0 & Wireless Free Earbuds】Truly wireless headphones for total freedom of movement,hands free and secure fit makes your body free and dive into music.The latest bluetooth V5.0 and CVC 6.0 noise canceling technology ensure clear and deep bass voice quality within 10 meters connecting stably,it's more quick and stable than the bluetooth V4.2. ♫【Touch Control&Automatically On/Off】No button,No pressing.Operation by full touch control.Just one touch play/pause tracks,answear/end calls.Everything is operated by gently touching.Easy to connect,the earbuds automatically turn on and connect your smart phone when take out from the charger case（After first manual connection);Turn off and be charged when put back in the charger case. 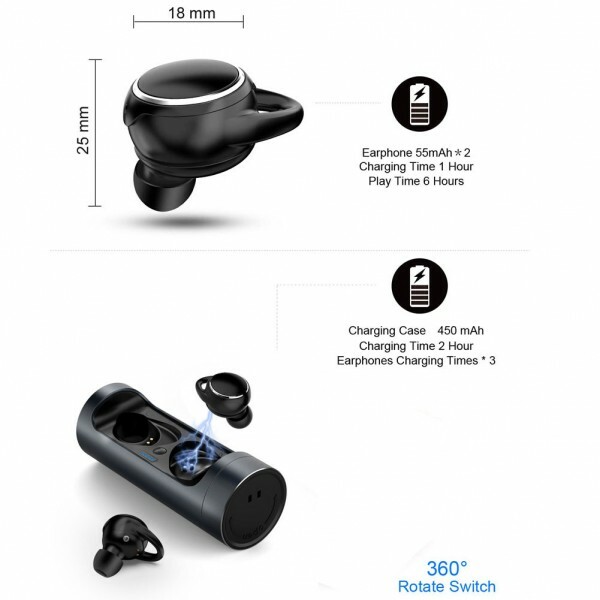 ♬【360°Rotate Switch & Powerful Charger Case】Charging earbuds on-the-go with a 450mAH powerful charger case designed with a 360°rotate switch.The earbuds can be fully charged with 3 additonal times up to total 18 hrs play time.Once the earbud is put in the charge box, it can be charged automatically and fully with 1 hour when battery is exhausted.You will get 6 hrs continuous playtime when it's fully charged. 360°Rotation Switch design,you can rotate it in any directions to open the charging case,very cool and easy.Excellent aluminum alloy materia makes you feel smooth when touching. Automatically On/Off The headphones turn on and connect your smart phone automatically when removed from the charger case; Turn off and CHARGE automatically when put back into the charger case; One-touch play/pause music One-touch answer/end call Automatically connect your devices after every manual connection. 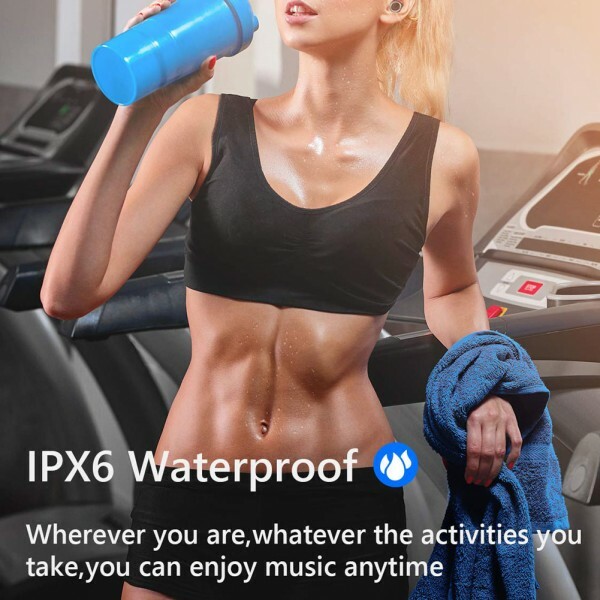 HD SOUND WITH DEEP BASS Featuring Bluetooth 5.0 and lossless HD rendering technology that produce incredible sound quality with deep bass and crystal crisp treble. 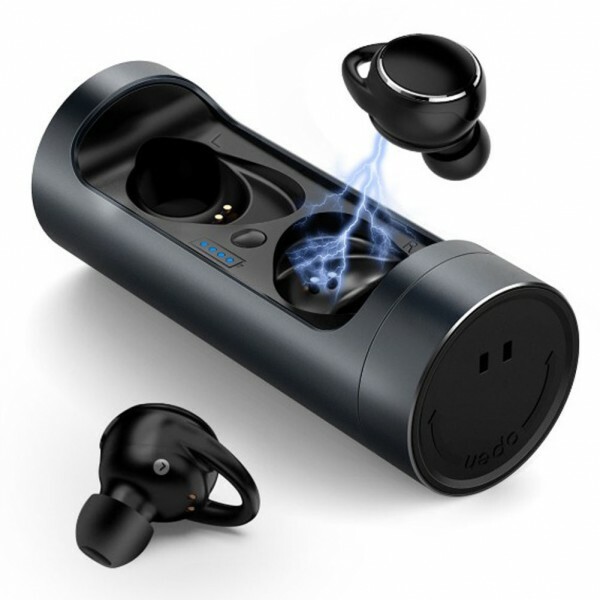 ROUBAI true wireless earbuds can block out a lot of surrounding noises, and do avoid wind noise created during running, biking, jogging, etc. Absolutely love these. Absolutely no complaint. 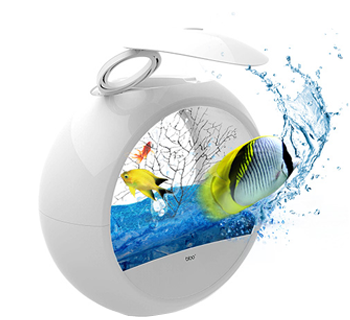 - sound quality is superb. Bass is outstanding. Treble test is superb. - didn't have one.... They didn't come in black? Where do I begin. I don't think there's anything I dislike about these headphones. The packaging is nice and modern, Looks premium so is a nice looking gift for someone. The case that comes with headphones are awesome. I do like the rotate feature that closes the cases for headphones. The case charges the earbuds a few times over as well which is awesome. The ear buds are a matt finish which makes the product look more premium. I find some of the gloss finish ear buds give it a cheap look. 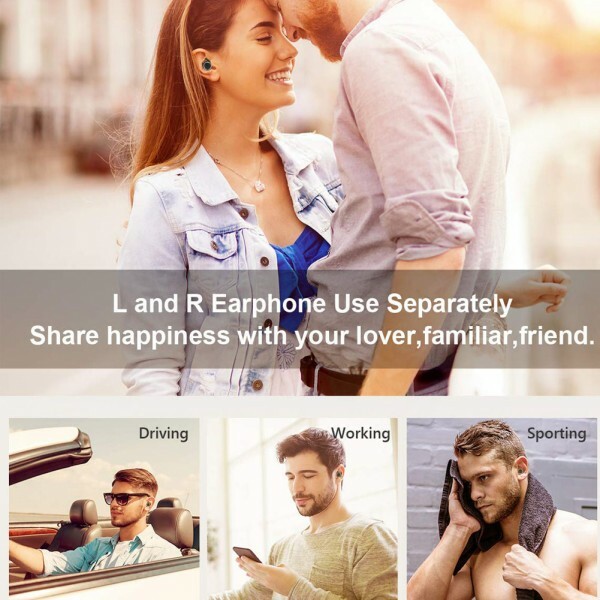 The bluetooth connects well and is easy to pair. Both the case and earbuds have a very premium feel, the ear buds fit nice and snug in the case and the twist and close feature works really well. The battery life is really good. I've used the buds for around 3 hours during first use and it still had more battery. The earbuds itself have a small rubber part that hooks inside the ear, this allows the ear phones to fit nice and snug and don't fall out. I've used the earphones to train at the gym a few times and they've not fallen out so far. Finally the most impressive things about the earphones so far have been the sound quality. It has some crazy bass. Very deep and precise. 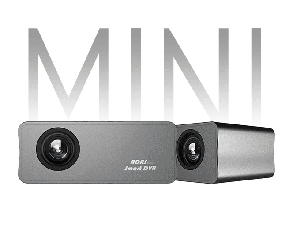 The high frequency is crisp and the overall sound is very well balance. The functionality is great. Works very well with my iPhone 6s. skip, previous song, play, pause, volume up, volume down. 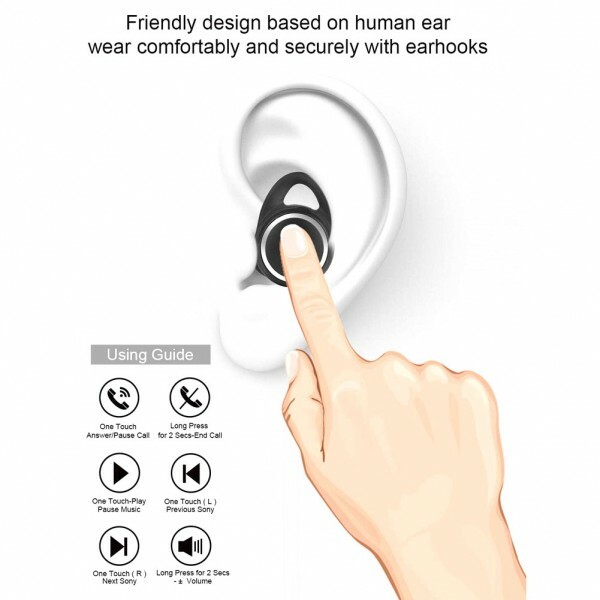 Also works as a single ear bud. Very happy with these earphones and will definitely recommend it to anyone who is looking for a decent pair of wireless earbuds.